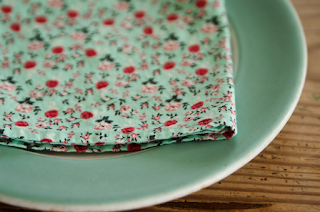 Some *really* down to earth sewing--cloth napkins. We've been running low so I bought enough of this cheery print to make fifteen. That's a lot of little hems to press and then stitch, so I did it in very short sessions. After a week, they were all done. Those are lovely. Napkins are one of my favorite little projects. I'm making a bunch as Christmas gifts this year, and like you, doing them in short spurts. How big do you make yours? What type of fabric do you find works best for napkins? Can I ask how big you made them? I always wonder what's a good size. I bought it to make a dress for my daughter, but will have plenty left over....maybe for napkins! I love the color combinations! oh! I have a dress cut out in that fabric in the darker duck-egg blue colorway! It is very cheery and as soon as I get past my annoying balcony curtain sewing, I am going to looooove sewing my pretty dress! These are just about 12 inches square finished. I get three across out of the fabric. I even just rip my strips and then my squares. All is made tidy in hemming. I think we all have good taste! These are lovely! 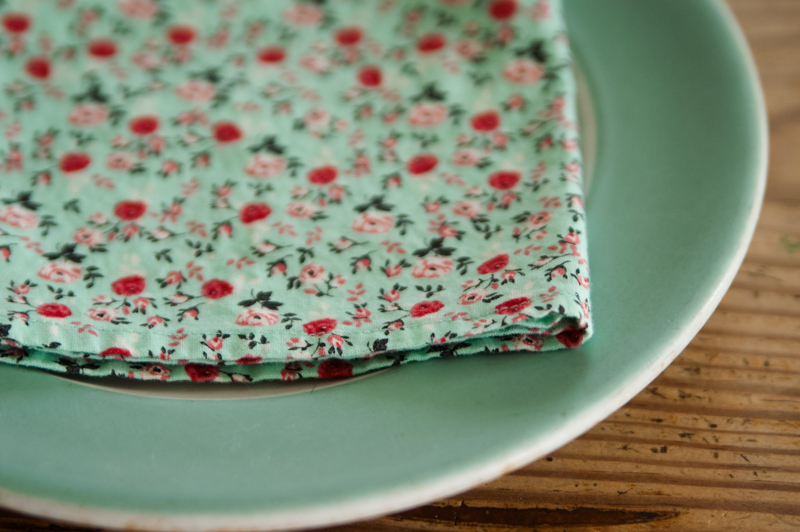 I have fabric to make some for Christmas presents, but I have also been collecting vintage linen napkins for myself. great minds and all .. sifting through my fabric stash last week i decided to squirrel away some time to do the same thing! happening soon!